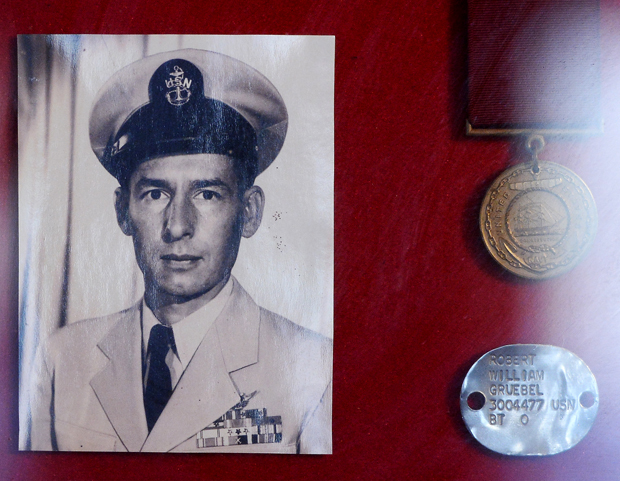 Dr. Gruebel served in the U.S. Navy as combat aircrew in the carrier USS Enterprise, CV 6, during WW II and flight engineer in transport aircraft. After 21 years of service he entered college and received my B.S. (Highest Honors), M.S., and Ph.D in Physics from the University of Arkansas in 1968. He joined the physics faculty at Stephen F. Austin State University in the fall of 1968. On leave of absence in 1982 and 1983, he served as Corporate Radiation Safety Officer for Halliburton Corporation, establishing the Radio-active Materials Management Program, the Nuclear Reactor decontamination program, and supervised the use of subsurface uses of RAM in oil field services, and returned to the university in 1983. 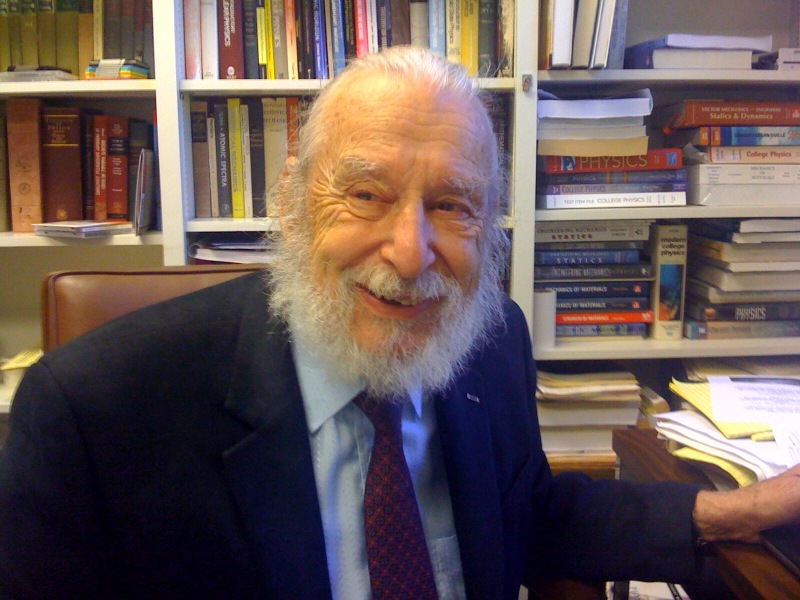 His dissertation research was in the field of structural studies of complex molecular liquids using X-Ray diffraction. Molecular and atomic distribution functions, as well as pair correlation functions, are determined by transforming the intensity data in momentum space to yield distribution functions in coordinate space. He established and built the theta-theta X-Ray diffractometer and equipped the Diffraction Laboratory to study liguids and metallic glasses. He is a Master Tool and Diemaker and set up, equipped and staffed the research machine shop in the Physics Department. He established the astronomy program at SFASU and designed and built the observatory to house the 18" telescope which he obtained from NASA and the 41" telescope for which he located the primary mirror and other optics. The 41" telescope was constructed in our Physics Shop by Norm Markworth, Bruce Rafert, and Bennet Montes. On March 31, 2009, Dr. Robert Gruebel, professor of physics at SFA, gave a presentation on his experiences at the Galileo symposium in Florence, Italy. "Galileo's greatest contribution was to look critically and analytically at new ideas," said Gruebel. "He challenged philosophers of the time and backed up his reasoning with physical evidence." Dr. Norman Markworth recalls this type of lecture inspiring him as a fledgling scientist, and the SFA astronomy professor hopes this event will have the same effect on young guests. "Formal lectures can be formative experiences for budding scientists," he said. The International Astronomical Union has named 2009 the International Year of Astronomy, marking the 400th anniversary of Galileo's telescope. Significant advances in astronomy and science will be celebrated throughout the year, and various events around the world are planned. 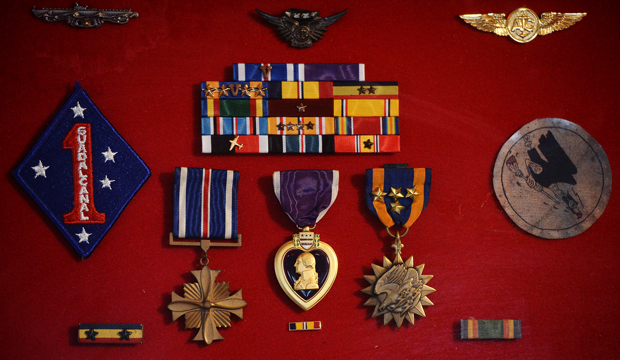 Some of veteran Robert Gruebel's awards and citations, including a Purple Heart, center, for wounds received in combat, are on display at his Nacogdoches home. At 10:00 am on July 2, 2003 the US Postal Service unveiled the new Purple Heart Stamp at the North Texas Veteran’s Medical Center. As part of the program, Mr James McGee, of Senator Cornyn’s office, awarded Robert W. Gruebel, of Nacogdoches, Texas, in the name of the President of the United States, a long overdue Purple Heart for wounds received in 1942. In conjunction with the award, the Texas Senate honored Dr. Gruebel with a resolution recognizing his contributions. His granddaughter, Katie Williams, a former aide to Senator Gramm and currently working for Texas Senator Jane Nelson, presented the resolution. Presentation of Resolution 3 enacted by the Texas Senate During the Battle of Santa Cruz in the Solomon Islands on October 26, 1942, while enroute to attack the Japanese carriers Zuikaku and Shokaku, Robert W. Gruebel, gunner in a torpedo bomber from the USS Enterprise, CV 6, was wounded when attacked by Zero fighters from the Imperial Japanese Navy carrier Zuiho. He shot down one Zero fighter and assisted in the destruction of a second. Flying in torpedo planes as part of the Enterprise Air Group in 1942, 1943 and 1944 he was awarded a commendation for shooting down Zero fighters at Santa Cruz, earned two Presidential Unit Citations, one for service with the First Marine Division on Guadalcanal and the other for Service in Enterprise, the most decorated ship in the US Navy, from which he flew in 13 of the 20 major sea battles the USS Enterprise fought (every major battle in the Pacific war except the Battle of Coral Sea when she was escorting USS Hornet with Major Doolittle’s B-25 raiders to attack Tokyo in April 1942). For subsequent actions at Guadalcanal, the Solomons, the Marshall and the Gilbert Islands, Truk (shot down and rescued by sub, USS Tang) , New Guinea, Palau, the Marianas Islands, the Battle of the Philippine Sea, and others he was awarded the Distinguished Flying Cross and the Air Medal with 5 gold Stars. 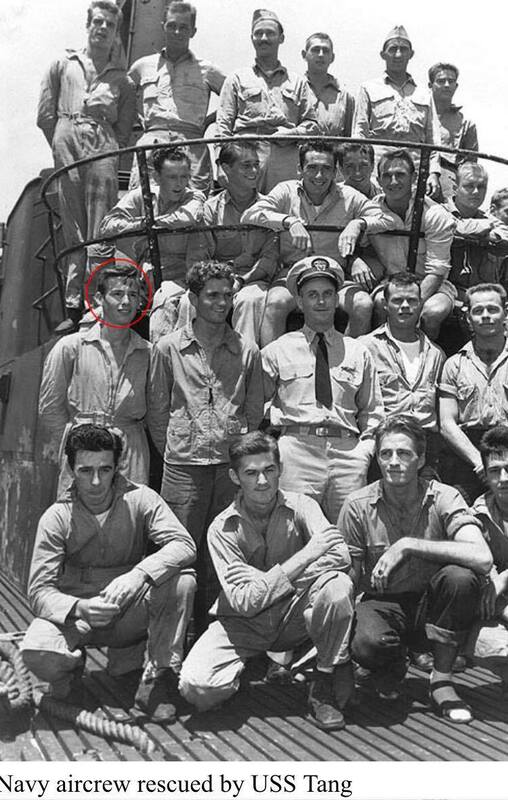 He stayed in the Navy after the war, attaining the rank of Chief Petty Officer, he continued to fly as Flight Engineer in the Naval Air Transport Service (NATS) and later the Military Air Transport Service (MATS). While in VR-8 in NATS, he was part of the Berlin Airlift. He flew in Korea and in Vietnam during the 1950’s. He flew as Flight Engineer on Lockheed Constellation aircraft, which serviced U S Embassies around the world. His last tour of duty was at Lockheed Aircraft Company as Assistant Bureau of Naval Weapons Resident Representative and Flight Test Engineer for the Navy. He retired in 1960 after 20 years service. He dropped out of high School in the eleventh grade to join the Navy but entered college and earned his Bachelor of Science, Master of Science, and Ph.D. in Physics from the University of Arkansas in 1968 when he joined the faculty of Stephen F Austin State University. On leave of absence in 1983 and 1984 he was corporate Radiation Safety Officer for Halliburton Oilfield Services. He is Professor of Physics at Stephen F Austin State University in Nacogdoches, Texas where he resides with his wife, Jo Ellen H. Carlson.